Is there a walkthrough of the tools I can watch or read? What retailers and brands can I use on Hue & Stripe? What retailers and brands can I earn commission from? What are some of their return policies and shipping information? Do I need to disclose that I can earn commission from affiliate links? How can I get paid by my clients? Does my client need a login to access Hue & Stripe? What dimensions should my logo file be? My image uploads are going slowly. How can I speed things up? Can I add things from around the web to a 'Finds' section? Q. Is there a walkthrough of the tools I can watch or read? A. Our latest live community Strategy Session was recorded and provides a full walkthrough of H&S's Closet, Lookbook, Finds, and client management tools! Q. What retailers and brands can I use on Hue & Stripe? A. You can use items from any retailer or brand on Hue & Stripe. (Yes, any!) While not all retailers give commission - though, most do - you can use any items you would like to recommend to a client in the Lookbook and Finds tools. Q. What retailers and brands can I earn commission from? 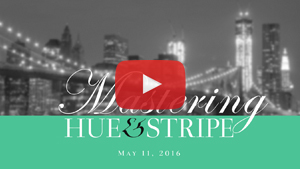 A. Hue & Stripe makes it easy to begin earning commission from over 70,000 online retailers and brands. Our list of partners is always changing, so we are unable to publish a comprehensive lookup. You may always reach out to support@HueAndStripe.com to check if a specific brand or retailer you love is on our list of partners. Note: This list is subject to change without notice. Q. What are some of their return policies and shipping information? A. See the table below for information about the individual retailers. Q. Do I need to disclose that I can earn commission from affiliate links? "While I will always select the best items for you, some of the links included may be automatically affiliated. This helps support my business and allows me to keep my rates what they are while spending the time necessary to find and create these recommendations." Q. How can I get paid by my clients? A. Your Hue & Stripe membership includes a polished yet simple invoicing tool - complete with your own branding atop your digital invoices! If you have an existing Stripe account, you can link it on your My Account page. If you don't have an account yet, you will be prompted to create one (free) from the same link. Once you link Stripe, Invoices will be enabled on your Client Dashboard. Tip: With Hue & Stripe's simple invoicing tools you can even send an invoice and get paid through cash or check to avoid online processing fees, then mark the invoice as being 'paid' in order to send a professional receipt. Q. Does my client need a login to access Hue & Stripe? A. No! We've made it as simple as possible for clients to access their online wardrobes. All they need is the link that you send them using the paper airplane button in the Closet sidebar. That link is a permalink that never changes - no matter how many times you update their Finds or Closet items. They can open that link on any device. We recommend you have them bookmark it on their computer and add it to their smartphone home screen for fast access. Q. What dimensions should my logo file be? A: A good, high-quality logo file can be a strong point of branding on your Hue & Stripe Closets, Finds, and Lookbooks. Height: Your logo will be displayed up to 260px high, depending on the device width and aspect ratio. We recommend uploading a logo that is between 520px and 800px high to look best on 'retina' (high-DPI) screens. Width: An ideal width for a logo 520px high is 520px to 1200px. Q. My image uploads are going slowly. How can I speed things up? Photos taken from high-end mobile phones can weigh in at over 6MB each! (Way too large for web use.) While Hue & Stripe automatically resizes your photos once they're uploaded, the upload itself can be very slow if you have 50 photos at 5-6MB each (that's 300MB!). For Windows users, we recommend downloading the appropriate image resizing script for your operating system above. You will then be able to shrink the photos for web upload. Windows: Photo Resize Script » ← Download this script! For Mac users, 'Preview' (a free program already included in Mac OS X) can do the job. Follow the tutorial above! Mac: Photo Resize Tutorial » ← Follow this tutorial! We recommend resizing your photos between 800px - 1300px or 250kb in size. Q. Can I add things from around the web to a 'Finds' section? A: Yes you can, using the Hue & Stripe Chrome browsers extension or bookmarklet (on Safari or Firefox)! to your browser's bookmarks bar. Then click the bookmark that is created when you are on a page you'd like to link to from your client's or Catalog's 'Finds' section. Voila!